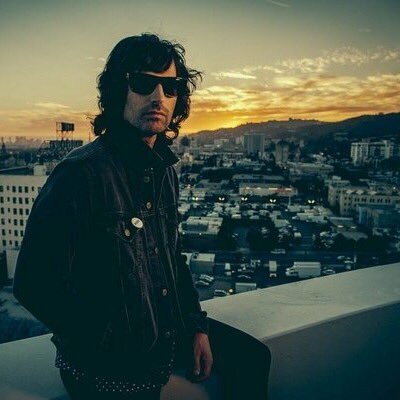 New Jersey native Pete Yorn releases “Arranging Time” today, Friday, March 11. The singer-songwriter’s sixth full-length album is a display of more diverse songwriting since his debut 15 years ago. “I’ll look at pictures of places I went, or things I did,” Yorn said. “And I think, ‘Look at how great that day was and you just missed it.’ I think about the past and how much of it is a blur. The title of the album is a reminder to be present and within each song is a minor lesson about that. Time only gets faster as you get older.” Celebrate St. Patrick’s Day twice with Pete Yorn – Wednesday, March 16 at The Stone Pony in Asbury Park, NJ and Thursday, March 17 at the Theatre of the Living Arts in Philadelphia, Pa. Get “ArrangingTime” on iTunes, Amazon, Google and Spotify. It’s been nearly two decades since Jeff Buckley died, but that hasn’t stopped the deluge of posthumous releases by the singer-songwriter. Released Friday, March 11, “You & I” is a collection of 10 of Buckley’s demos recorded in February 1993. Since Buckley is probably best known for his cover songs, this album shouldn’t disappoint fans. Highlights include two songs by The Smiths; “The Boy With The Thorn In His Side,” and “I Know It’s Over.” He also covers “Just Like A Woman,” by Bob Dylan, Sly and the Family Stone’s “Everyday People,” and “Night Flight” by Led Zeppelin. Pick up “You & I” digitally, on iTunes, Amazon and Spotify. Earlier this year we heard Shooter Jennings and Marilyn Manson release a cover of David Bowie’s “Cat People.” Yes, you read that correctly. “Countach (For Giorgio),” the ninth studio album by the outlaw country music revivalist, is much different than the previous eight. In case you didn’t catch it in the title, the album is a tribute to Italian composer Girogio Moroder, who was also honored by Daft Punk in the track “Giorgio by Moroder” on “Random Access Memories.” This album is a mashup of country, rock and electronic dance music with snippets of movies looped in. It also includes a cover of “The NeverEnding Story” featuring Brandi Carlile and shows Jennings living up to his outlaw credo. Get “Countach (For Giorgio)” from Amazon, iTunes and Spotify. London-based folk-rock band Treetop Flyers releases its sophomore album “Palomino” Friday, March 11. Recorded in London and Los Angeles, the band has definitely absorbed a 70s folk-rock vibe that extends deeper than taking its name from a Stephen Stills song. It’s been more than two years since the band’s debut album, “The Mountain Moves,” and Treetop Flyers has emerged with a stripped down approach to its songs with production that makes them sound cozy. The band didn’t credit any single songwriter on any track as a testament to its collaborative effort. If you like deep, funky guitar breakdowns and piping organs, than “Palomino” is the album for you. Check out “Palomino” from iTunes. After listening to “Second Love” it’s hard to argue with Emmy the Great. Emma-Lee Moss, the British indie-pop singer-songwriter that goes by Emmy the Great, released a dramatic third album that overpowers the previous two in a fantastic way. This album tackles love and heartbreak with all the details of a journalist and the whimsy of a school girl crushing. With her compelling lyrics and vibrant electronic landscape, Emmy the Great tells how she has got here after her fiancé experienced a religious conversion and pursued a love of God over a love of Moss. Get “Second Love” from iTunes, Amazon and Spotify.